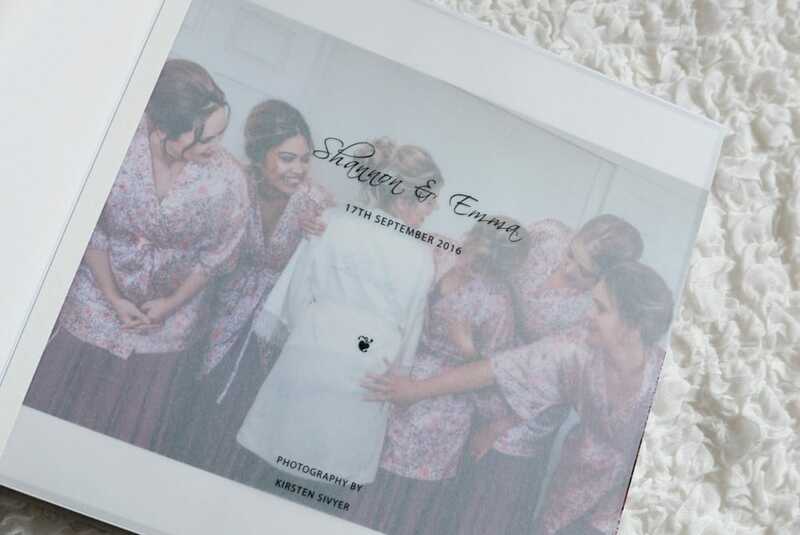 To create a package that’s perfect for you, Kirsten offers individually tailored packages starting with your choice of 3 or more hours of photographic coverage. 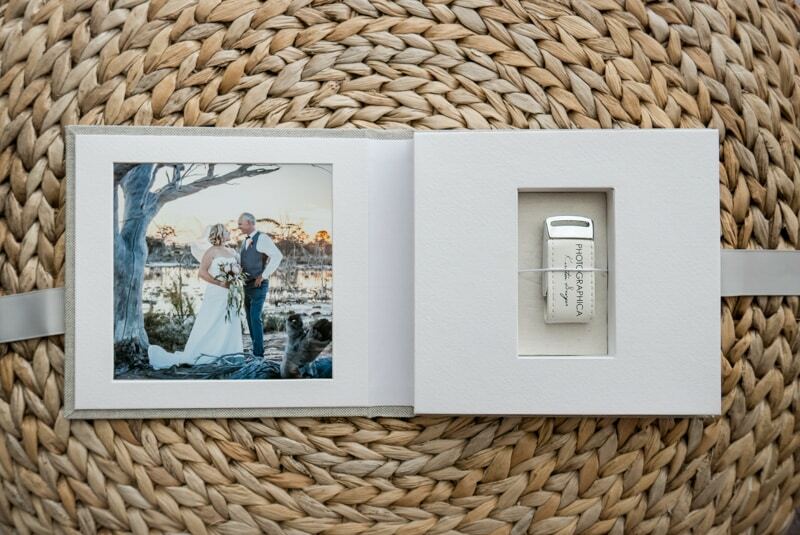 All photography packages include a high resolution set of your wedding photos on USB along with a private online gallery to share your collection with friends and family. 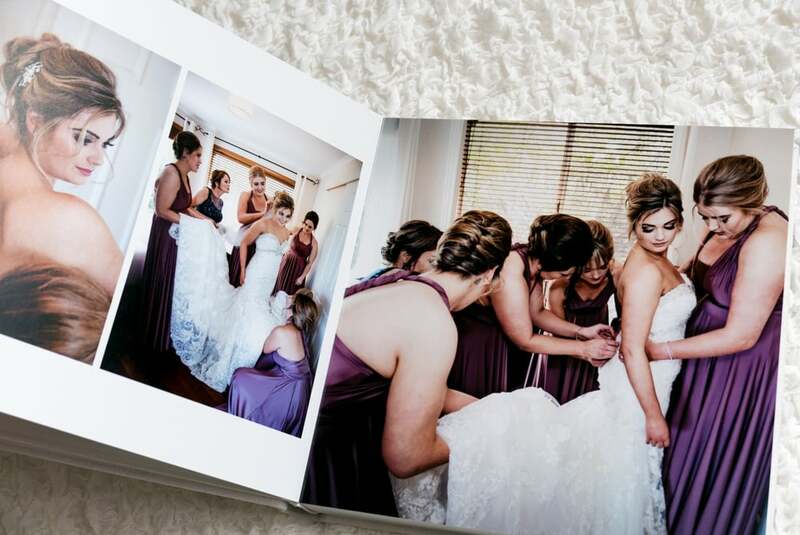 When requesting a quote, you will have the option to include extra package features like cosmetic retouching and our stunning Luxe Photobooks and parent copies. All Wedding Photography Packages include a complete set of carefully edited, high resolution, printable images on a beautifully packaged USB. Images are watermark free and ready to print up to 16×24 inches on photographic papers and up to 30×40 inches on canvas. Every wedding package also includes a complementary private online gallery to share with friends and family for 90 days. 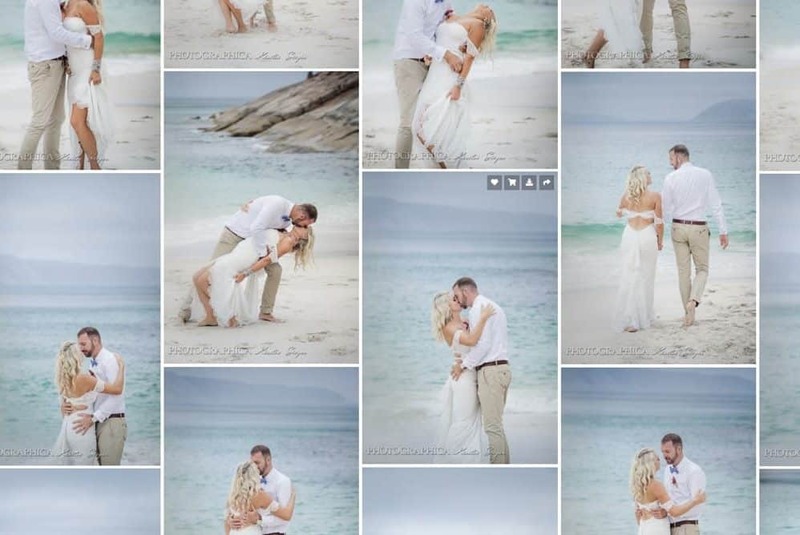 Images are subtly watermarked and can be shared on social media. Guests and family can order prints and watermark-free downloads through the gallery. 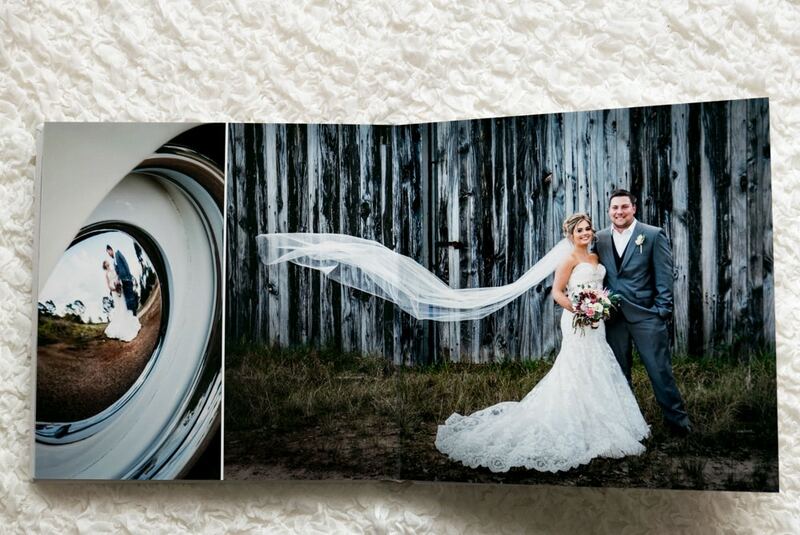 Kirsten’s clients love these luxe Wedding Photobooks. 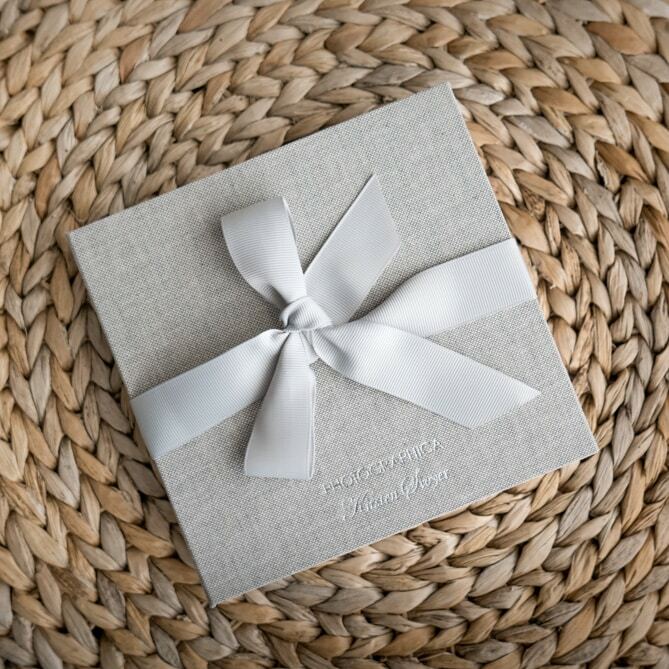 They are a fantastic blend of slick modern materials and design with the substantial feel of a classic matted wedding album. 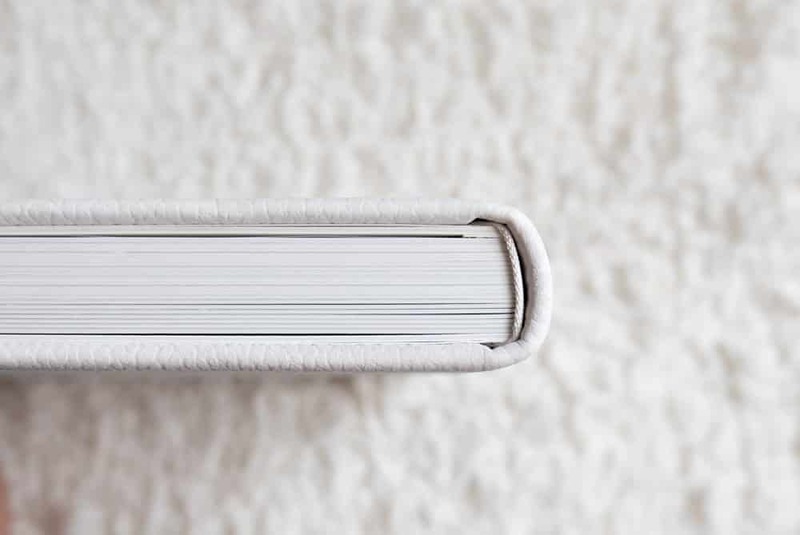 These 10×10 inch books feature thick, lay-flat pages with a crease instead of a cut at the books centre. The flawless lay-flat design is perfect for panoramic spreads. 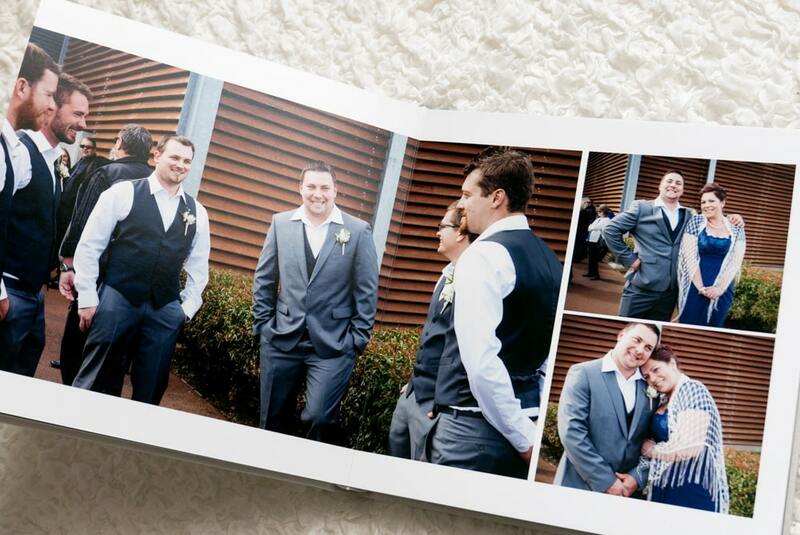 Photos are printed on real photographic papers and flush mounted onto the thick page core, so no need for old-fashioned photo matts. 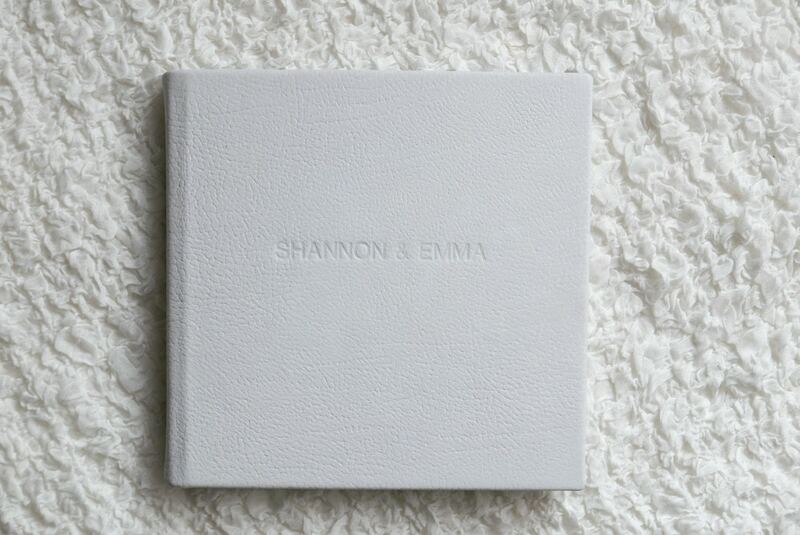 Choose your favourite cover materials from photo fronts to linens, silks, buckrams and leather. 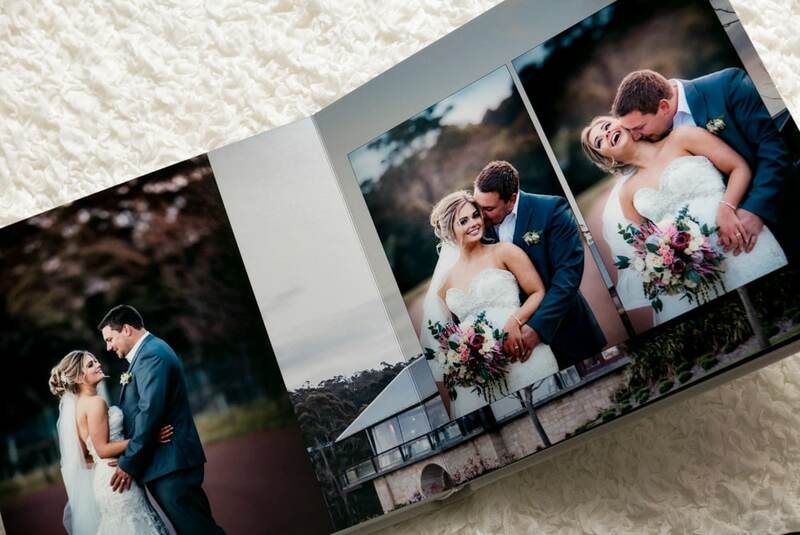 Books are available from 20-80 pages with prices starting from $895 for a 20 page photobook. Pricing includes design work, online proofing and a set of changes to ensure you are 100% happy with the look and feel of your book design. Cosmetic retouching involves a range of post-production processes including selective shading, skin-smoothing, teeth whitening, artistic enhancement and specialised colour treatments. Processes are selected to suit individual images and are applied with an artist’s eye to enhance the natural beauty of each image.